Raju S became a physical education teacher so he could keep "playing games." Twenty year old Kalleda physical education teacher, Raju S says he owes his success to the education he received as a young boy at Kalleda School and later at the adjacent Junior College. He grew up loving sports and decided to become a PE teacher so that he could continue “playing games” and motivate other young girls and boys along the way. His efforts are paying off. In his first year as a teacher, one of his students has gained a gold medal in athletics at state level. He hopes there will be many others, which is one reason why he can be seen coaching keen youngsters in the early hours of the morning before school starts and late afternoon after school has finished. Up to 40 girls and boys turn up on a regular basis to put in the hours of practice they know is necessary if they want to represent their school at district and state level. 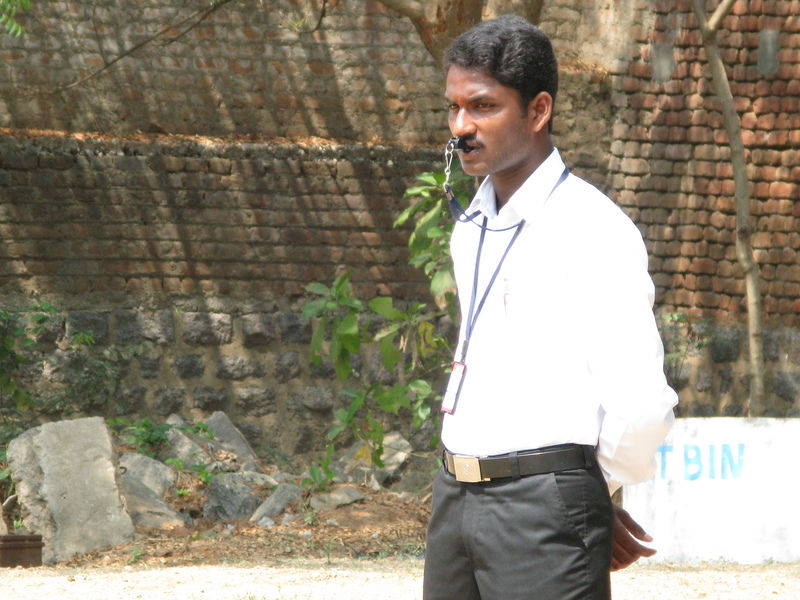 Aside from teaching, Raju is in his first year of a degree in economics and politics in the nearby town of Warangal. In his leisure he enjoys yoga, traditional dance and folk songs and he can always be relied on to put on a performance when the occasion arises.